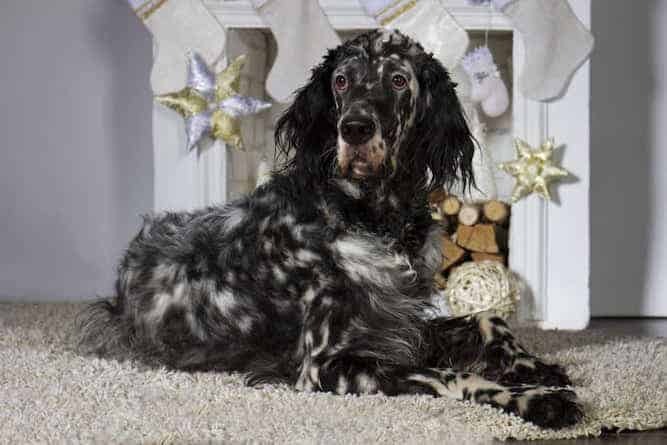 The English Setter Temperament (Playful, Mischievous): Could You Love Her as Much as She’ll Love You? The English Setter temperament must make her one special dog. After all, how many dogs have a beer company named after them (English Setter Brewing Company)? Some of the most notable things about this dog are how much she loves people, and how crazy-good her memory is. If you’ve ever wondered if a shelter dog remembers the life she had before she was adopted, this is a dog that undoubtedly would. 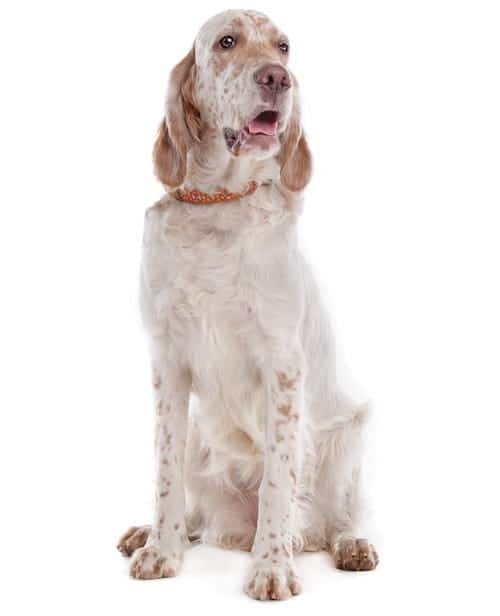 There are several traits that make up the English Setter temperament. In fact, English Setter traits are among the most numerous for any dog breed. While some dogs have an unyielding desire to please their masters, the English Setter does not. In fact, she would much rather manipulate you if she knows it can be to her own benefit. English Setters are show-offs who are eager to show you their skills either while hunting in the field or playing at home. Between her energetic nature and her inherent love for people, the English Setter is always up for a good play session. She is both energetic and athletic, which makes her an ideal hiking or jogging partner. She is a sociable creature who always craves companionship from her humans. Perhaps one of the most impressive sides to this dog’s intelligence is her crazy-good memory. When she remembers something, she may remember it for life. This can be both a good and a bad thing. It’s good because it helps with training. It’s bad because it may be harder for you to help her break a bad habit. She must have her people around her for most of the day. This is not a dog you can leave in a crate and then go to work all day. She will become destructive. She loves any and all people of every age, which makes her ideal for families with children. On average, the English Setter is the gentlest of the Setter breeds, which includes the Irish Setter and Gordon Setter. 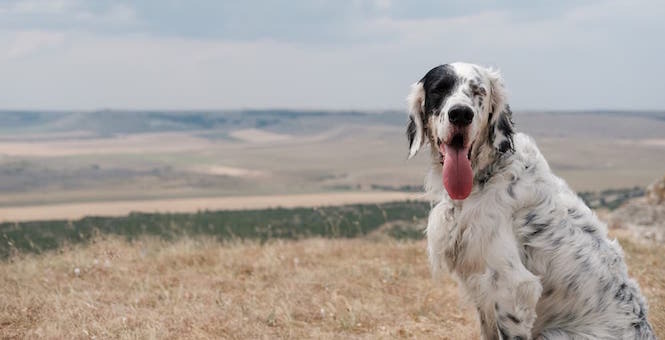 Because her memory is so strong, the English Setter can be just as affectionate with someone she hasn’t seen in years as she is with her family that she sees every day. This can make for a polite surprise for someone who hasn’t seen her in a while. She has the heart of a hunter, and she works as hard as one, too. Her strong-willed nature can also make her rather obstinate. If you want her to move when she doesn’t want to move, she’ll stay put. Be persistent with her, and she’ll eventually come around. The history of the English Setter is a bit vague. Suffice to say that the information available today shows that she originated in England about 400 years ago as a bird dog. There are works of art dating all the way back to the 15th century that illustrate a dog very similar to the English Setter we know today. Evidence shows that the English Setter emerged as the result of crosses among the Spanish Pointer, the Water Spaniel, and the English Springer Spaniel. Take care when training the English Setter, as she is a sensitive soul. It is better to use positive reinforcement when training her, rather than harsh scolding or physical reprimands. As puppies, English Setters are incredibly curious. You will need to keep your valuables out of reach until you are confident that you have trained her well enough for her to know to stay away from them. Be persistent and be sure to rein her in if she listens to her strong sense of smell and prey drive over the commands of her master. When it comes to the English Setter, shedding is not as much of a problem. However, you do need to brush her at least once a week to prevent mats and tangles from developing. Trim her face and feet regularly to keep her coat looking neat and give her a bath every month or so. 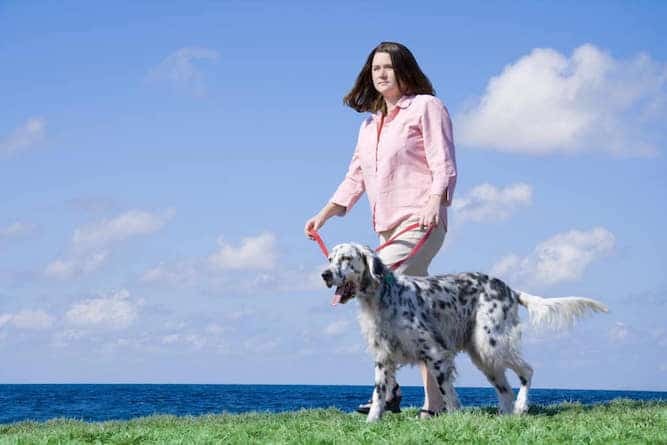 The adult English Setter needs vigorous exercise every day to stay happy and healthy. You should take her for a run once a day or engage her in a lengthy play session. Just make sure the area is fenced-in. Ideally, you should have a large yard, but many English Setter owners do not. Instead, they take their dogs for a long bike ride, hike, or walk instead. Do not engage an English Setter puppy in this kind of activity, as her bones and joints are not yet strong enough. Once she reaches two years old, then you can engage her in more high-impact activities. The expected English Setter lifespan is between 10 and 12 years. The average English Setter size is 25 to 27 inches tall for a male, and 23 to 25 inches tall for a female. The average English Setter weight for a male is between 65 and 80 lbs. For a female, it’s between 45 and 75 lbs. If you think you see signs of any of these conditions in your pup, don’t hesitate to bring her to the doctor. Note: Our Health is #1 Priority. It should be no different or your English Setter. But you need to help him. The Ultimate Guide to Dog Health is the answer. This handy guide will help you recognize the symptoms of the health problems above. Get the knowledge to stay ahead of these terrible issues that can rob your lovely English Setter from vigor and life. Help your friend make it to 12 yrs+ without pain and suffering. So, you've decided that you'd like to bring an English Setter puppy into your home. How lovely! You can find an English Setter for sale either from a breeder or through a rescue or adoption organization, like your local animal shelter. The average English Setter price is around $400. The price of an English Setter for sale may vary, with some dogs costing as much as $600. The change in price can be for a number of reasons, including where the breeder you ultimately select is located. Adopting an English Setter puppy will always be less expensive than buying one directly from a breeder. An adoption is ideal if you don’t want to housebreak the dog, or if you’re looking for an English Setter mix. English Setter rescue dogs are typically trained to go potty outside by the shelter workers if they weren’t trained to do so beforehand. And you’ll have better luck with an English Setter rescue being a mix because people are less likely to give up a dog that cost them thousands of dollars. If you want to seek out an English Setter breeder, but you’re not sure where to start, you can always check out the English Setter Association of America. They have a long list of breeders from states all over the country, so you may just find the right breeder for you. Some states have multiple breeders listed, which can give you some variety in your search. 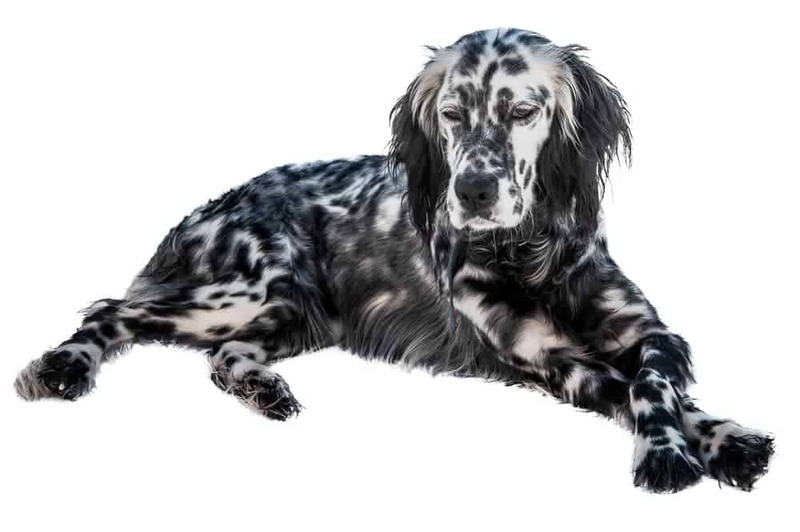 The English Setter Club of America may be another helpful resource for you to consider. Here, you can become a member and watch the breed in action before you make your final decision. Conclusion: Why the English Setter? 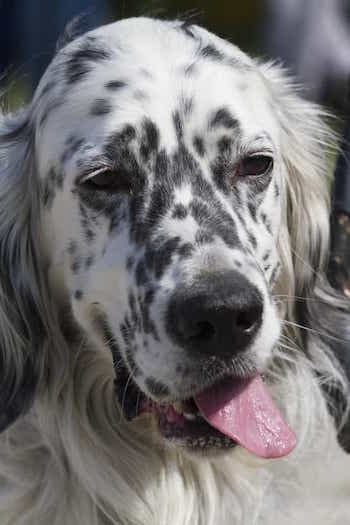 The English Setter temperament makes her an ideal family dog because she loves people and she’s great with kids. What she’s not great with is being left alone all day, so if you work long hours, then you’re not a good fit for her. She has an impressive memory. She can run up to someone she hasn’t seen in years and give them a kiss like they’ve only been gone for a day. Her coat comes in many colors, and it’s not one that sheds too often. There are a number of health conditions she can develop, though, so keep an eye out for any early warning signs. Next post: Sealyham Terrier Temperament (Fearless, Even-Tempered): Can You Handle This Stubborn Fella?